Welcome Current & Future College Students and Families! 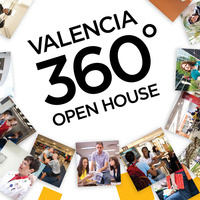 You are invited to Valencia's Osceola Campus to learn about degree programs, admissions and financial aid. Current and new students can also enter for a chance to win a $500 scholarship. Talk with representatives from academic departments, student services, financial aid, learning support services, student life, clubs and organizations. To learn more about what the campus has to offer, visit the Osceola Campus Page.